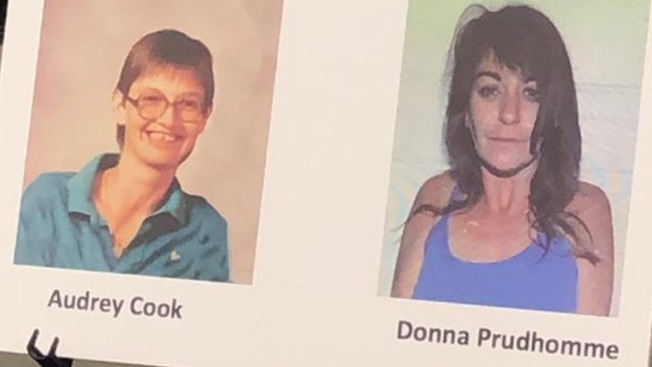 Authorities have identified two women whose bodies were separately found in a Houston-area oil field more than 27 years ago. Cook was found in 1986 and Prudhomme was found in 1991. Both women were found in an oil field located along Calder Road in League City. Two other women, who've previously been identified, were also found in the same oil field. Police are asking for the public's help in finding out more about Cook and Prudhomme.